The World Boxing Organization (WBO) Jr. Featherweight Latino champion Yenifel “El Rayo” Vicente of the Dominican Republic, is ready for his first title defense. The fight is scheduled for this Wednesday, October 31st at the Vasco Núñez de Balboa Convention Center, located at the Hotel El Panamá, as part of the festivities that will take place at the WBO’s 31st Convention. Vicente (33-3-2, 25 KOs), who will face Mexico’s Víctor Proa (29-5-2, 22 KOs) in a 10-round duel, is training in Puerto Rico under trainers Freddy Trinidad and Yoel González, and physical trainer “DJ” Montano Córdoba. “I feel better than ever and with a new team that is working hard by my side. I’m super ready and motivated for this fight because I know that, with a victory, I will get closer to a world title fight against the winner of world champion Isaac Dogboe and challenger Emmanuel Navarrete”, said Vicente. “My Spartan Boxing team and my promoter Lou DiBella are already making moves so that my dream of fighting for the WBO world championship in 2019 becomes a reality. But the first thing is to beat Víctor Proa, who is a very aggressive opponent who comes to give all he’s got in his fights”, said a confident Vicente, who is currently ranked #11 by the WBO. Manager Raúl Pastrana of Spartan Boxing Club mentioned: “Since Vicente is a WBO Latino champion, our interest has always been that he can face the world champion of the organization. The WBO recently held a great world title fight in Japan between Kosei Tanaka and Sho Kimura, that is a much talked about duel because of all the action they had and we believe that a fight between Vicente and Dogboe or even Navarrete, should be an action-packed fight”. Last April, “El Rayo” was crowned WBO interim Latino champion, when he beat Colombian Walberto Ramos via 4th rpund TKO. In his first title defense, the Dominican puncher defeated Mexican Andrés García by way of an impressive 2nd round knockout in Panamá. 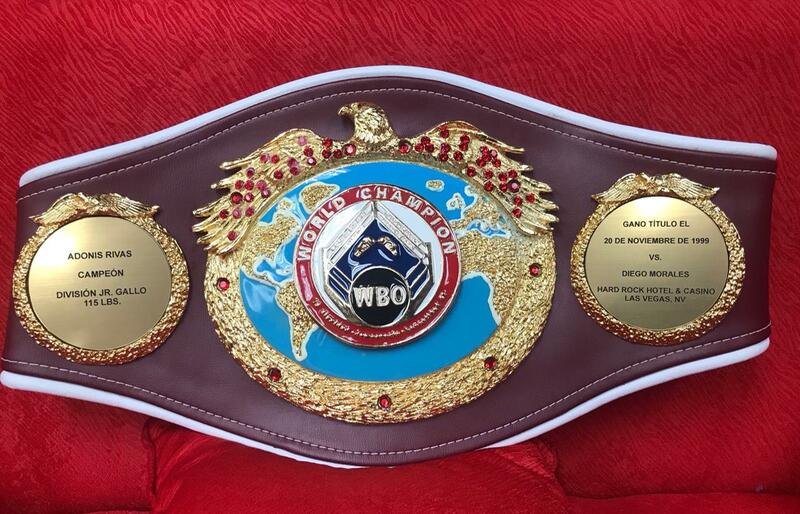 A month ago, former WBO Latino Jr. Featherweight Champion José “Pancora” Velásquez did not accept to fight Yenifel Vicente for his regular Latino title, and therefore, the WBO stripped him of the title, and made Vicente the Latino Champion. Vicente has eight wins in a row by way of knockout, which includes the 2015 Knockout of the Year in the Premier Boxing Championship series over favorite and then undefeated Juan “Baby Tito” Domínguez, who was knocked out in the 3rd round.